Internet Cafe Software, from also called cyber cafe software, which not only works for net cafes, but also for schools and offices. Internet Cafe Software is a diskless solution which helps restore a clean system after each reboot, keep your computer clear of viruses and trojans, and update all your PC’s with a single click. 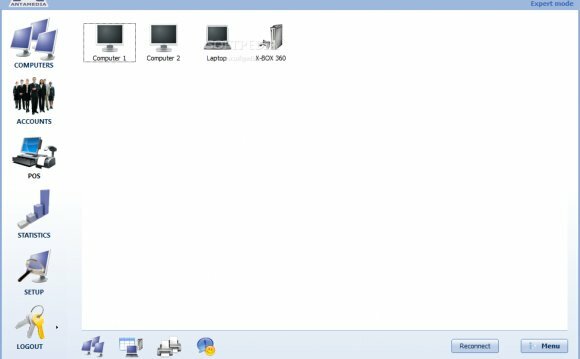 It is also a thin client software which supports network boot Windows 7 and XP from LAN with pxe boot tech. With CCBoot Internet cafe software diskless solution, there is no need for HDDs, so plenty of hard disk expenses could be saved. Network admin updates on one client PC, and then all the PCs on the LAN will be updated. CCBoot works with many iCafe billing software very well. Such as SmartLaunch. You can use coupon code "slccboot2015" to purchase Smartlaunch and get 10% discount. All games could be auto updated with iCafe Menu, you don’t have to configure them again, which helps to reduce many workloads and save a lot of time.